Most folks don't think of shopping at Ikea for food. The Swedish purveyor of home assembled inexpensive furniture actually has a pretty wide selection of processed food items, most famously Swedish meatballs, and may be the prime supplier of lingonberry preserves to the American market. The meatballs are remarkably bland tasting, and actually do require an accessory sauce or gravy to complement it. Vegetarian faux caviar. Near as I can tell, alginate beads of seaweed extract. 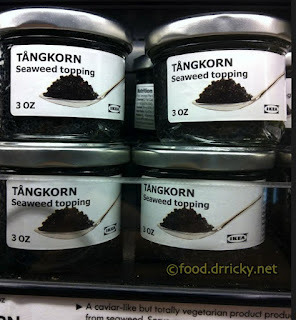 Which makes it seaweed extract encased in seaweed extract. Not bad on crackers and a little cream cheese. Kind of like umami micro-boba. Salmon in a tube. Well, this stuff was awful. And it shows from the ingredient list: salmon itself is a minority component. But the star tip lets you make decorative squiggles. All right, enough factory exotica for the day. 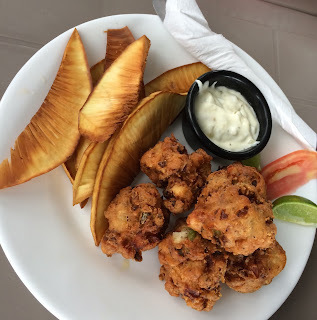 Here's a little something to cleanse your virtual palate with: real fish. 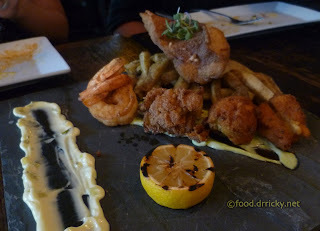 The summer fried seafood platter from Max's wine dive. Grilled lemon is a nice touch. Simple playful stuff. We absolutely love CR plastic tables product! Their own customer service is actually exceptional. Ordered a beautiful outdoor patio established. We are very amazed with the quality and price Plastic chairs.